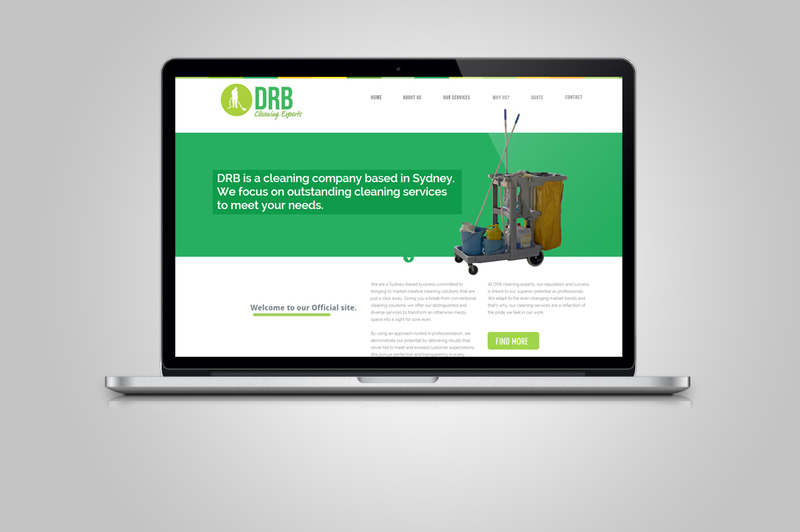 DRB Cleaning Experts is a professional cleaning service provider based in Sydney, Australia. 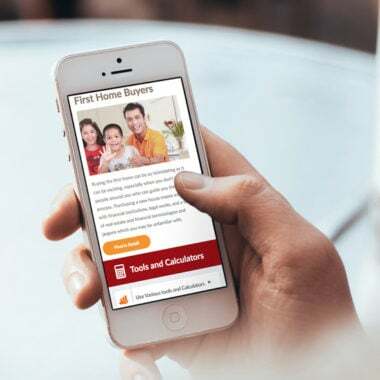 Keen to Design has been involved in the interface design, logo design, content writing and responsive web development of this company. 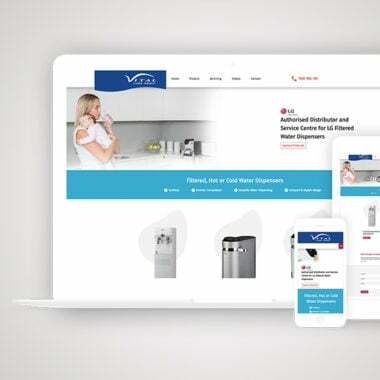 It is one of our first website design for a cleaning service provider. 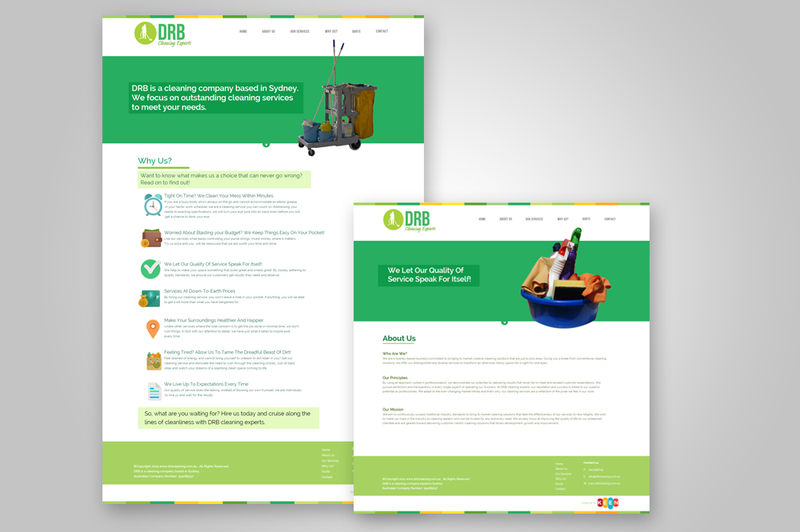 When we started the logo and website design project for DRB, we were made very clear that green was to be the most perceptible colour up front. From header to footer and from one page to another focus for the green colour can be seen. 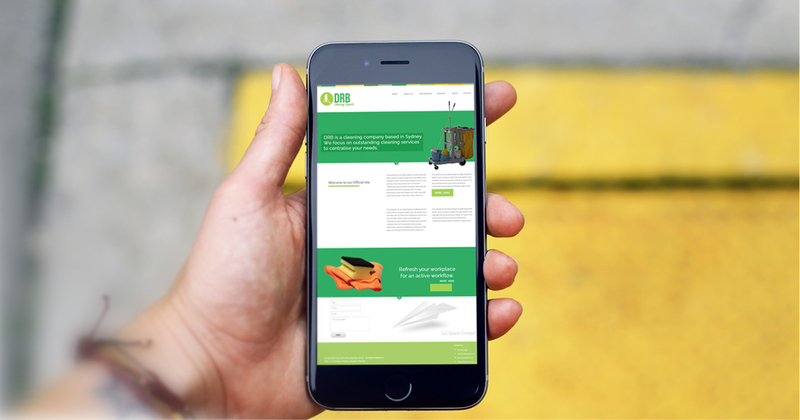 This website has a massive 100% width green background with cleaning equipment on the front page of the site. Detailed information about the cleaning service s provided is included on the website. 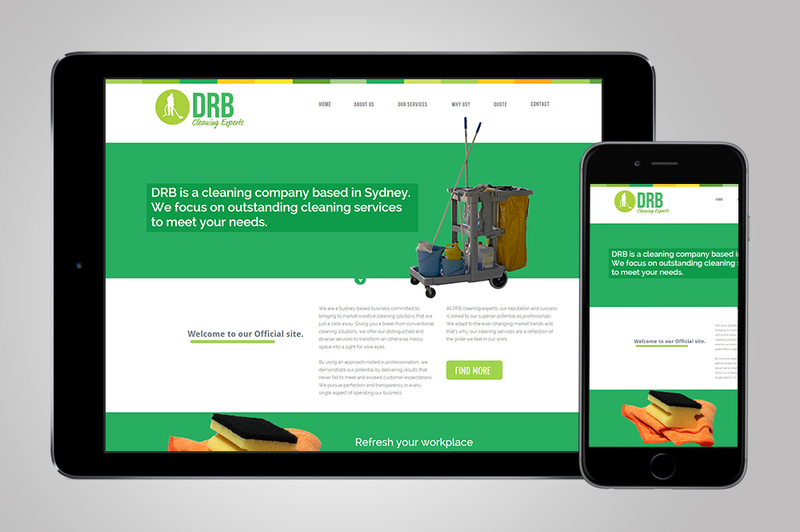 The responsive website of DRB also has contact form placed on the main page, from where any customer can get in contact with the company. 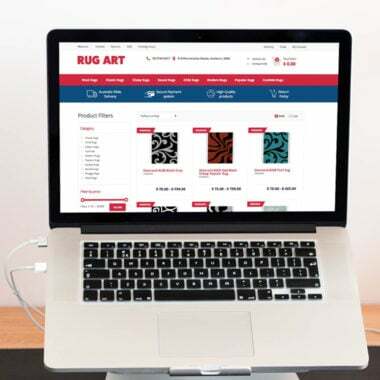 It also includes an option to get a quote for cleaning services. 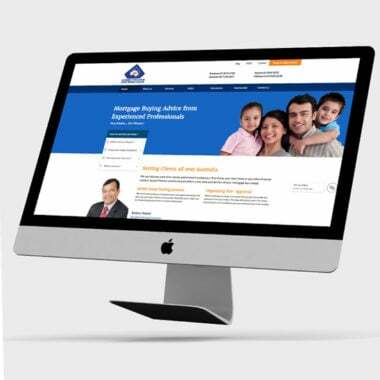 The website is designed in HTML and does not have any content management system. Right from the index page the website is clean and is aesthetically one of our better sites.